The Israeli satellite operator Spacecom signed a contract with Russian Satellite Manufacturer ISS Reshetnev to build and launch the AMOS-5 geostationary communications satellite, outfitted with a communications payload supplied by Thales Alenia Space under a total contract value of $157 million, covering the satellite and its launch. AMOS-5 headed into orbit on December 11, 2011 atop a Proton-M/Briz-M launch vehicle, sharing the ride with the Luch 5A communications relay satellite operated by the Russian Space Agency. 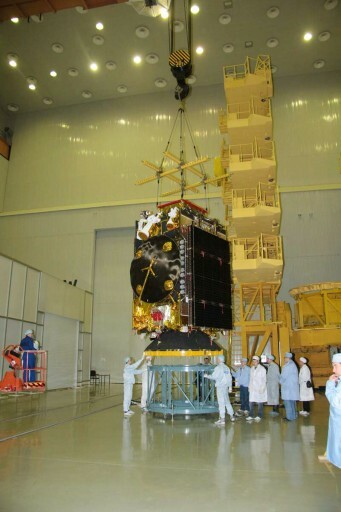 AMOS-5 had a launch mass of nearly 2,000 Kilograms, based on Reshetnev’s Ekspress-1000N platform capable of hosting powerful communication payloads providing propulsion, power generation, power storage and distribution, precise navigation and accurate Earth pointing and stationkeeping capabilities. The satellite is equipped with 18 C-Band and 18 Ku-Band transponders used to generate a pan-African beam and regional spotbeams over Central and West Africa in C-Band and focused Ku-Band coverage targeting Central and Southern Africa. 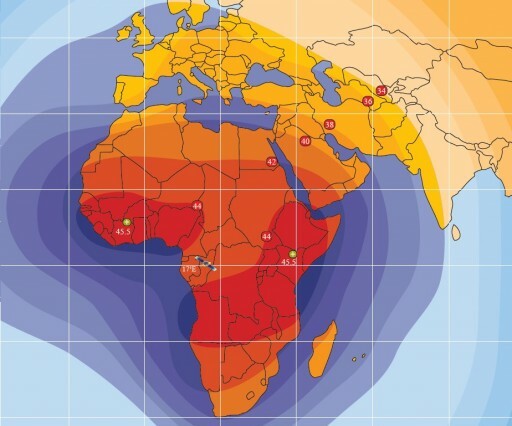 After the satellite took up station at 17° east, Spacecom sold about two thirds of the satellite’s total capacity to television broadcasters and other African customers. In October 2013, the satellite suffered an anomaly within its power system that cut the power feed to a subset of the satellite’s eight engines. Reshetnev engineers were able to re-route power and restore the propulsion system to permit the satellite to continue nominal operations. The power issue led to Spacecom signing a second insurance policy to protect for the event of a recurrence of the power failure. The satellite abruptly stopped communicating with its ground station in the early hours (UTC) on Saturday. All satellite signals ceased with no prior indications of a problem with the spacecraft that was not undergoing any special operations at the time of the failure. Spacecom immediately started recovery and troubleshooting efforts to restore communications with the satellite, but commands sent from the ground remained unanswered. After more than three days without a sign of life from the satellite, hopes of a recovery faded. Should no recovery be possible, AMOS-5 will join a group of uncontrollable satellites roaming through the Geostationary Belt of satellites which keep station 36,000 Kilometers above the equator where their speed matches the rotation of the Earth to keep the satellites positioned over the same location on Earth. Zombies, as these satellites have become known, can be a potential danger to active satellites in Geostationary Orbit, requiring operators to track their movements and respond by re-positioning active birds within their GEO boxes to allow the Zombie to safely pass. So far, AMOS-5 remains within its assigned box in Geostationary Orbit, currently tracked at a position of 16.95°E with a drift rate of 0.002 degrees per day. Without periodic stationkeeping maneuvers, the satellite will likely begin a slow drift in the not too distant future caused by external influences such as gravitational perturbations and solar pressure. The satellite’s direct neighbors in orbit are the Chinese Tianlian 1-03 and the Astra 1L and Eutelsat 16A communications satellites. For Spacecom, the next steps will be to transfer their customers to other satellites from outside providers and the begin the process of working with their insurers to claim the insurance for AMOS-5 if indeed failed for good – 11 years shy of its expected service life. 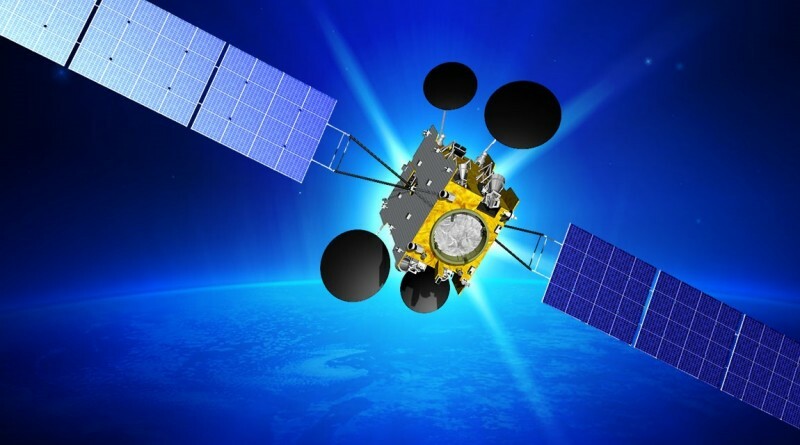 The next Spacecom Satellite, AMOS-6, is scheduled to launch in 2016 aboard a SpaceX Falcon 9 rocket to join the operational AMOS-2, 3 and 4 satellites to expand coverage over Europe, Africa and the Middle East. The launch was initially planned for late 2015 but had to be postponed as SpaceX works out its busy launch manifest, further complicated by Falcon 9’s launch failure in June.